Design of High-Performance Negative Feedback Amplifiers Amplifier design is very often regarded as making a selection from the large arsenal of known amplifier circuits and then adapting it for a specific purpose, possibly with the aid of computer-aided-design programs. Now and then designers are surprised by the introduction of a new amplifier circuit performing better in some respects than the others. Each aspiring designer has to find his own way in this jungle. He has to choose from a rather chaotic and scattered collection of amplifier circuits rather than apply a systematic and straightforward design sequence that enables him to design his special-purpose amplifier circuit. A great deal of experience is essential. This work is an attempt to make a useful contribution to the extensive literature on the subject of amplifier design. It can be justified on the grounds that the approach is believed to be unique in a number of respects. Many works that promise to cover the subject are instead concerned with analysis. Moreover, they frequently deal specifically or separately with particular design aspects, characterised by descriptions such as 'wide-band', 'low-noise', 'low-distortion', etc. A treatment of the various design aspects and their interconnections, however, is necessary for fruitful amplifier design. At the basis of such a treatment lies the observation - usually easily overlooked - that amplifier design is concerned in the first place with obtaining an adequate quality of information transfer. Amplifiers are more than electronic circuits merely bringing the source power up to a higher level. Quality requirements are imposed on the signal transfer relative to the type of information and to the manner of perception, registration, or processing. The quality of information transfer is determined by a large number of quality aspects such as linearity, accuracy, efficiency, signal-to-noise ratio, etc. Unfortunately, it cannot beexpressed as a quantitative figure of merit. A systematic, straightforward design approach is presented in this work. Preference was given to a qualitative rather than to a quantitative approach. Finding the proper configurations for the basic amplifier and of the amplifier stages is considered of primary importance and is emphasised here. This book is therefore largely concerned with the design phase preceding the phase in which existing computer aids can be helpful. 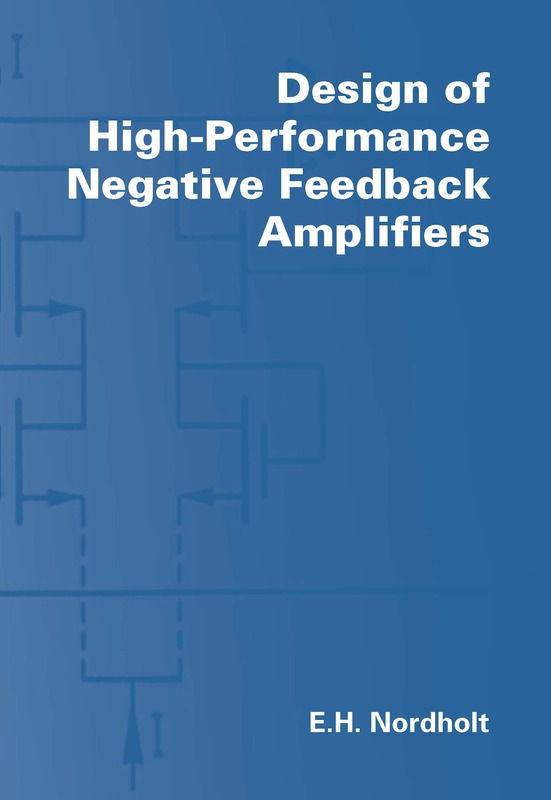 Contents: Basic Amplifier Configurations for Optimum Transfer of Information from Signal Sources to Loads - A Classification and some Properties of Configurations with one Active Device - Design Considerations for Optimum Noise Performance of Negative-Feedback Amplifiers - Design Considerations Regarding Optimum Accuracy an d Linearity of Negative Feedback Amplifiers - Design Considerations Regarding Optimum High-Frequency Performance of Negative-Feedback Amplifiers - The Design of Bias Circuitry - Outline of the Design Method - Appendix: Influence of the Induced Gate Noise in Wide-Band Amplifiers.